I spent a lot of my teenage summers inside. Oh sure, there were family vacations, Saturday afternoons playing hockey, and Tuesday evenings playing softball, but there were also entire weeks where I barely left the house, so much so that I knew that the same Craftmatic Adjustable Bed commercial came on every day at 1:00 p.m. on WPIX. I think it was then that my father would force me out of the house by cranking the dehumidifiers in both the basement and den, therefore making it impossible to watch television. That, or he’d find some sort of back-breaking manual labor for me to do. 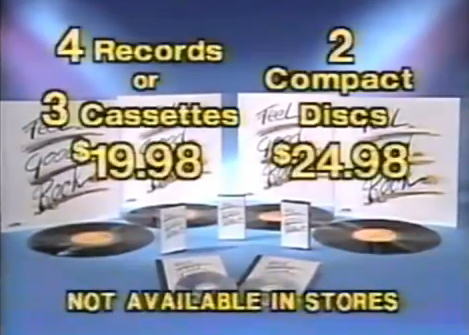 Anyway, among the many types of commercials I watched were commercials for compilation albums. Put out by companies such as Time-Life Music, these were collections of famous songs that fit a particular theme. In Time-Life’s case, there were collections for different decades such as the 1960s or 1980s (I personally own all of Sounds of the Eighties), but there were also compilations such as AM Gold and Love Songs. 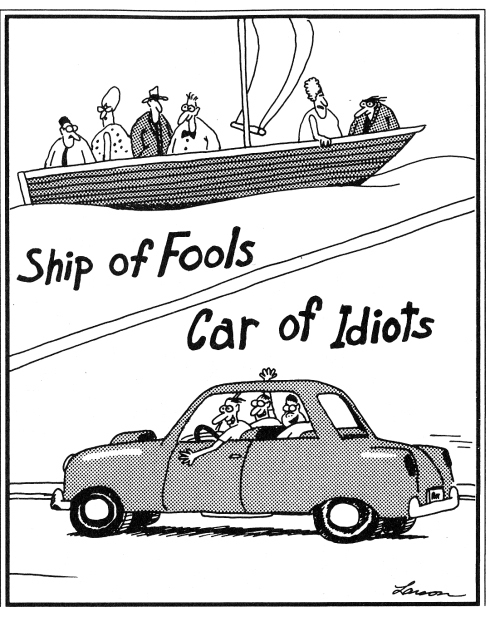 The commercials were always pretty much the same. There was some sort of intro, and then several song titles would scroll up the screen while either a clip or photo of the artist or stock footage of people from a Mt. Airy Lodge commercial was shown. The song playing would change every once in a while and then you’d get some message about how you could order the albums, which usually came on record, cassette or CD (and later on cassette or CD). And as awesome as those are, nothing trumps what has to be the most insanely bizarre yet spectacularly awesome compilation commercial of all time. Dear readers (both of you), I give you Feel Good Rock. The commercial starts out kind of silly, using old 1950s sci-fi footage in a way that is a pretty common commercial trope, but then takes a turn that just about nobody is expecting when instead of the simple footage of bands performing their hits or the classic stock footage of people being romantic and/or having a good time, we get two minutes–yes, two minutes–of people ridiculously lip-synching the hits contained on the album. In some cases, there are people who have clearly been waiting their whole lives for this moment (the woman in the waitress uniform clearly is enjoying her moment in the spotlight), and in other cases, the people barely know the words (one of the guys singing “Crocodile Rock” doesn’t fully commit). Now, until I scraped this off of the floor of YouTube, I hadn’t seen it in a good twenty years and while I remember it being an odd commercial, I can honestly tell you that I had forgotten how flat-out insane it was. And much like the Coke Is It! 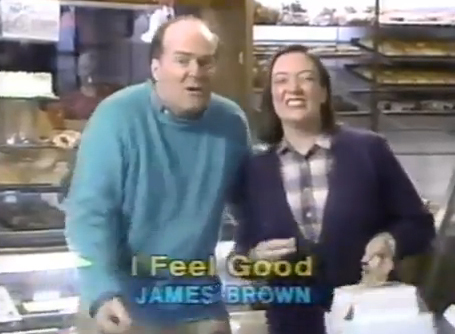 commercial and Juicy Fruit commercials from the 1980s, I felt the need to take a look at some of the people in the commercial who are just feeling so good. I know that commercials have gotten more sophisticated since I was a kid; after all, Mars has made a fortune off of the licensing of the animated M&M’s that it currently features in its commercials. 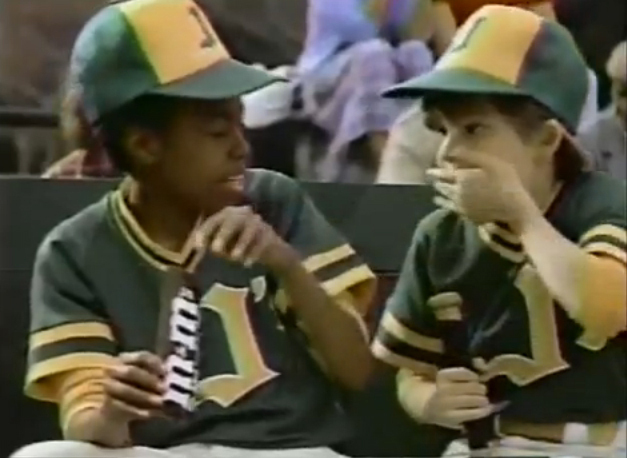 But seeing this again for the first time in nearly 30 years, I have to say that is still one of the most perfect commercials because in thirty seconds it encapsulates playing baseball as a kid. Okay, maybe not for me because I absolutely sucked when I was younger, but I do remember that this commercial came out right around the time I started my first year of “real” baseball (read: not tee ball), and there were times that while riding the bench (which I did a lot), I would talk to my teammates and we’d say that we were going to “take the ball dowwwntooowwwn.” Plus, I think that every kid in the history of being kids has at some point sorted his or her M&M’s. Yeah, I know that they all taste the same because they are milk chocolate that surrounded by a thin candy shell (hence it “melts in your mouth but not in your hand”), but the brown ones were so plain, and while the yellow and orange ones were slightly more interesting, the green ones stood out, so they were immediately a favorite. And during a game, if we had M&M’s, we’d actually save the green ones before getting in the on-deck circle because I think that on some level we thought that the green M&M would lead to a home run. Of course, that was never true and since then, M&M’s come in many more colors than the ones in the commercial and more flavors than just plain and peanut (the peanut butter ones are a personal favorite); however, I still like to think that there was something special about the green ones, even if there wasn’t truth in advertising. But I love soda commercials. I don’t think I’ve seen that many from the era of Mad Men–the earliest ones I can remember is probably the “I’d like to buy the world a Coke” one from 1971 followed by David Naughton’s “I’m a Pepper!” ads and the Mean Joe Green one from 1978 or so–but I do remember that next to commercials for the phone company, McDonald’s, and Juicy Fruit, nothing in the non-toy category defined my childhood more than soft drink commercials. And for good reason: they were everywhere in the 1980s, to the point where the last line of the last verse of “We Didn’t Start the Fire” is “Rock and roller cola wars, I can’t take it anymore!” And by 1989, yeah, you’re right, Billy. Because over the course of the decade, Coke and Pepsi seemed to be doing whatever they could to up the ante, especially when it became apparent that Pepsi was gaining in market share right around 1985 and Coke decided that its old formula wasn’t enough and launched the debacle known as New Coke. 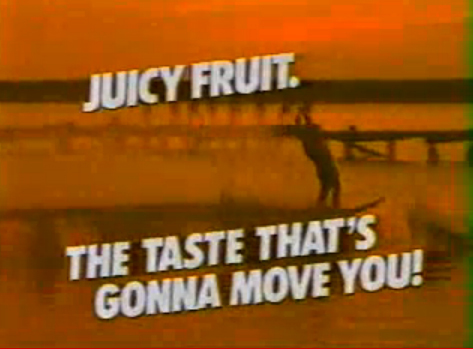 Plus, you really couldn’t outdo Pepsi’s commercials in the 1980s. I mean, they almost killed the King of Pop. That set the bar impossibly high. The taste that’s gonna move you! I’ve never been a regular gum chewer. Oh sure, I have a pack of peppermint gum sitting next to me while I’m typing this but that’s because I had serious onion breath the other day and went out and bought said pack so I could talk to people in a professional capacity without killing them. But really, I’m not a regular gum chewer. It might have something to do with the fact that from the third grade on and off until my sophomore year of high school, I had braces; however, I like to think that it’s because I am ultimately disappointed that I never had the experiences that gum companies promised me in the 1980s. Bottom half of this illustration: my “crew” in high school.